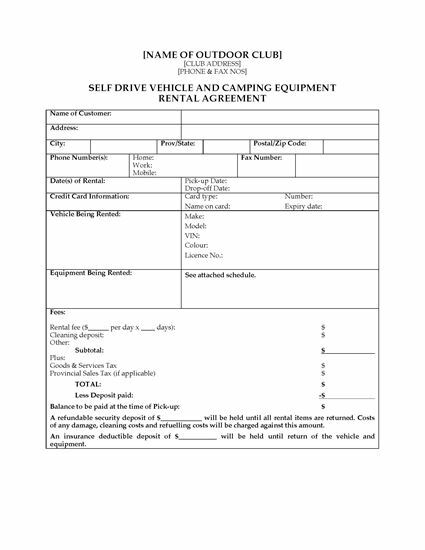 Rent out vehicles and camping gear with this British Columbia Self Drive Vehicle and Camping Equipment Rental Agreement. 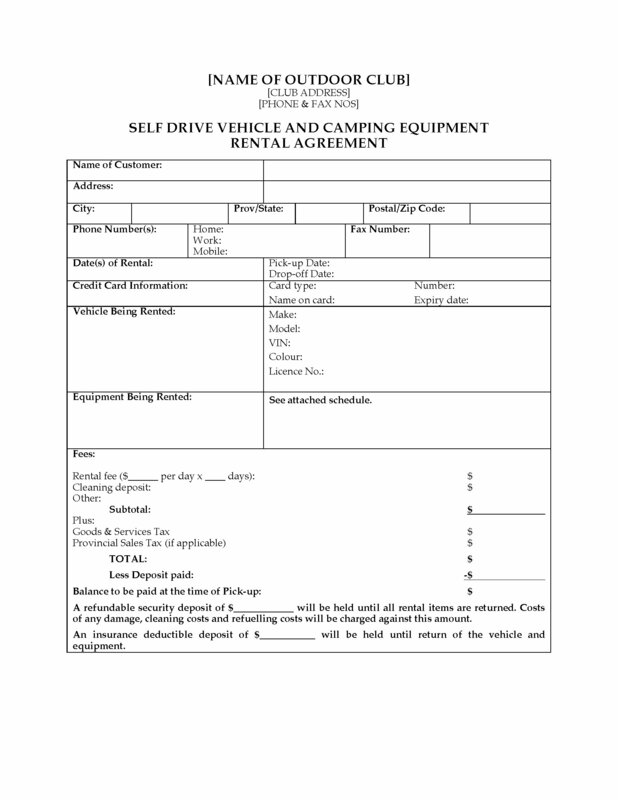 This template is for outdoor outfitters who lease equipment to campers. Rental rates are calculated on a daily basis. Provincial Social Services Tax and federal GST are calculated on rental fees. Foreign visitors may be able to reclaim their GST. A security deposit is required for all rentals and is refunded upon return of the rental items, less any deductions for loss or damage. All drivers must possess a valid driver's licence with photo ID. Drivers must be within specified age limits. Passengers in the vehicle must not exceed a specified number at any time. All small children must be secured in child safety seats, which are also available for rental. Vehicle travel is only permitted on public roads. The rental company maintains public liability insurance for the rental of the vehicle and equipment. The customer has the option to purchase extra insurance, which reduces the deductible. The customer acknowledges the risks associated with the use of the camping and recreational equipment and assumes full responsibility, and releases the rental company from any liability. The Rental Agreement is governed by British Columbia laws. To download the form, add it to your cart and buy it using our secure payment methods.